■Skin Set: *(OO)*YUKI_Ree Gacha @Blush NEW! ■Nail: ::c.A. :: Tytti [nail] @Blush NEW! ■Hair: tram H0414 hair / FATPACK @Uber NEW! ■Necklace: [The Forge] Rosella Necklace, Fatpack @FaMESHed NEW! ■Outfit: Violent Seduction – Madame Chevaliere Gacha @The Epiphany NEW! ■Pose and Butterfly: Poseidon Chasing Butterflies Complete 1-6 @Bloom NEW! ■Rose Set: DISORDERLY. 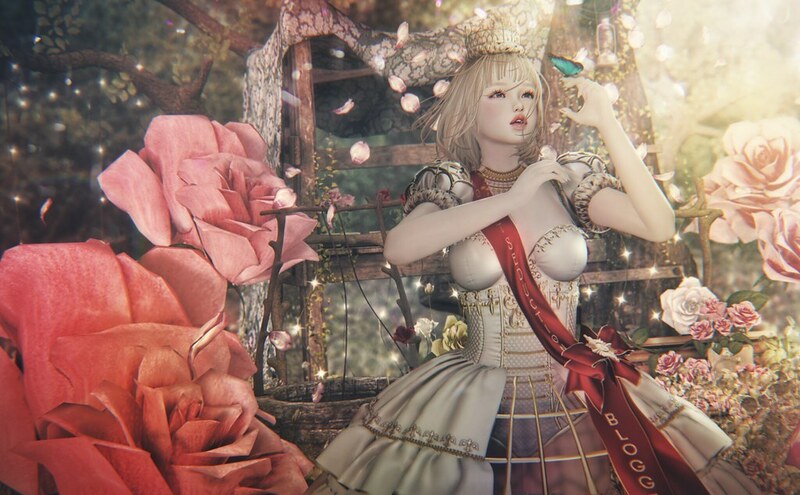 Domestic Roses Gacha @The Epiphany NEW! ■Enter the Forest Set: Raindale – Enter the Forest Gacha @The Epiphany NEW! ■Den: [Kres] Rainy Day Den – PG @Deco(C)rate NEW!